OREM, Utah — The UTRGV men’s basketball team dropped its final regular season road game 84-72 to Utah Valley on Saturday at the UCCU Center. Senior Nick Dixon led UTRGV (14-14, 5-6 WAC) with 21 points and six rebounds. Junior Terry Winn scored 15 points with five rebounds. Freshman Greg Bowie finished with nine points. Brandon Randolph led UVU (19-8, 8-3 WAC) with 16 points, plus six rebounds and six assists. Jake Toolson scored 16 points with eight rebounds. Jerrell DeBerry scored 12 points. Kenneth Ogbe scored 11 points with four rebounds and four assists. Conner Toolson scored 10 points. UTRGV led 4-3 in the opening minutes after layups by Bowie and Winn. A Randolph 3, however, sparked a 16-4 run to put UVU up 19-8. UTRGV outscored Utah Valley 14-8 over the next seven minutes to climb to within 29-24 before Ogbe hit a 3 and two free throws to push UVU’s lead to 10. UTRGV responded with a 10-2 run, capped by a Dan Kimasa jumper, to pull within 36-34 with 1:44 remaining in the first half. Utah Valley pushed its lead to 15 early in the second half and still had the advantage in double figures at 78-68 with 2:58 to go. Winn hit a layup and sophomore Xavier McDaniel Jr. sank two free throws to bring UTRGV within 78-72 with 1:49 remaining, but UVU hit six free throws to put the game on ice. UTRGV plays its final three regular season contests at home, starting at 7 p.m. Thursday against UMKC at the UTRGV Fieldhouse during the Battle of the Colleges and Faculty and Staff Appreciation Night. 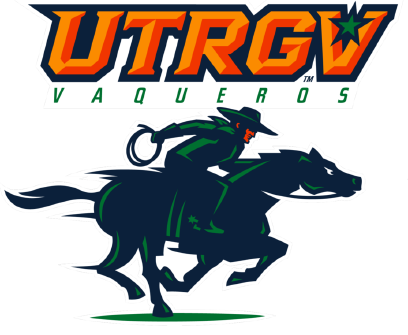 UTRGV colleges from across campus will compete in an attendance competition while the deans compete in a halftime free-throw shooting competition. UTRGV faculty and staff will receive free general admission with their employee IDs. Doors open at 6.